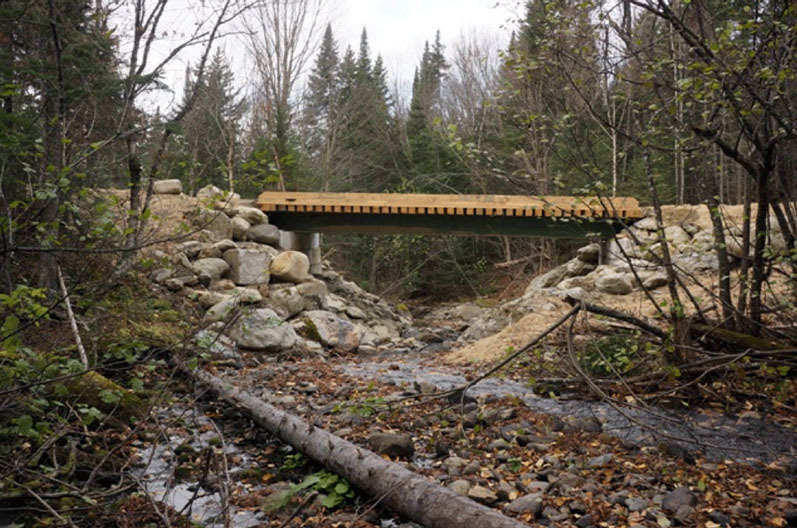 PARIS — The Maine House of Representatives has approved an amendment to a bill that would remove $100,000 from Oxford County’s unorganized territory budget to prevent a bridge from being built on a private road in Parkertown Township, county Administrator Scott Cole said. Last year, Paul Hodsdon of Norway, president of the Aziscohos Lake Campers Association, told commissioners camp owners want the Aldrich Brook bridge on Lincoln Pond Road replaced so they can get to their lots without taking a 26-mile detour. The association represents 61 camp owners, 38 of whom use Lincoln Pond Road, Hodsdon said in January. Owners have deeded access over 13 miles of the private paper company road, including the bridge, he said. Hodsdon added that camp owners pay a total of about $71,000 in taxes annually to the county but get nothing in return. The Aldrich Brook bridge washed out in May 2017 and was removed by the owner two months later. He said an “undersized bridge” was installed but was inadequate. It was unclear Monday what the status of the legislative bill, LD 1862, is. In other business at last week’s commission meeting, Oxford County Sheriff James Theriault said he’s had inquiries from school districts about hiring school resource officers. Cole said Theriault told commissioners there have been many “emerging grant opportunities” following the February school shooting in Parkland, Florida. The commissioners agreed to allow Theriault to explore the concept of applying for grants for school resource officers.